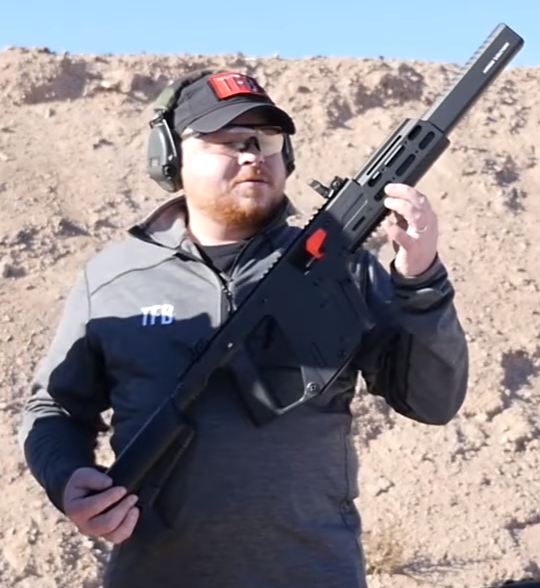 Hi, I did not make it to this years shot show vegas and saw the Vector 10mm enhanced shroud with a handguard on you tube. Does anybody know who makes it and how I can get one for my KV? I saw a video with that too, my understanding is it is made by KRISS. Kriss Vector Store online is not yet open. I hope it will be available for purchase. It's a great addition to square enhanced shroud. It looks AMAZING. I shoot handguard grip for more control. First gen 45acp KV regular shroud had diamond-head advance combat solutions made their hand guard. I was hoping to see if anyone knew who they contracted to make these new handguards. If they make it themselves then great, but usually they have someone else make it like iron sights (magpul). Can't wait to add it on my KV. If they made that, and simply added a section of top and bottom rail to line up with the sections on the existing rail, it would be PERFECT. I've got the 5.5" and suppressor, and it would be a great addition for providin a bit of heat shielding/pritection, while adding increased sight radius/moving the front sight foreward. The fact that it's not MLOK is a turn off. msh441 wrote: If they made that, and simply added a section of top and bottom rail to line up with the sections on the existing rail, it would be PERFECT.